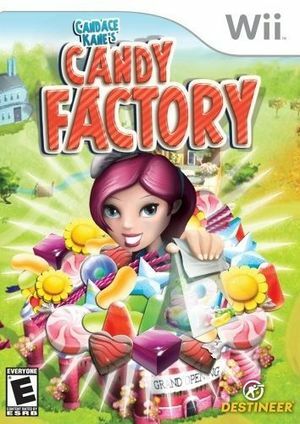 Candace Kane's Candy Factory is an enormously addictive puzzle-action game for the Nintendo Wii that lets players step into the fast-paced and colorful world of candy creation. Players take the role of a factory-manager working for Candace or Colin Kane, two hard-working and friendly candy-makers. Join Candie and Colin on their quest to fix up the factory in order to make their way to the Candy Cup Championships. The graph below charts the compatibility with Candace Kane's Candy Factory since Dolphin's 2.0 release, listing revisions only where a compatibility change occurred. This page was last edited on 18 October 2017, at 10:19.